How would your life be different if you regularly offered yourself loving thoughts, encouragement, actions and intentions to live your best life? For about 20 years, self-care wasn’t a part of my life. I thought drinking (often too much), doing things and acting a certain way to be liked, and misguided self-care ideas (like the debt hole of ‘retail-therapy’) was self-care. Turns out what I really needed was to delve deeper into what brought me joy on a non-material level. It wasn’t things or attention, but self-love. I invite you to let go of what doesn’t serve you and immerse yourself in a month of self-care with this simple challenge. I participated last year and it was the extra push necessary to being more authentic and balanced. Here are the official links and tags to help you accomplish and share this challenge. I follow my heart because I know what I need and that is love. I give and receive with love. I grow and evolve with love. 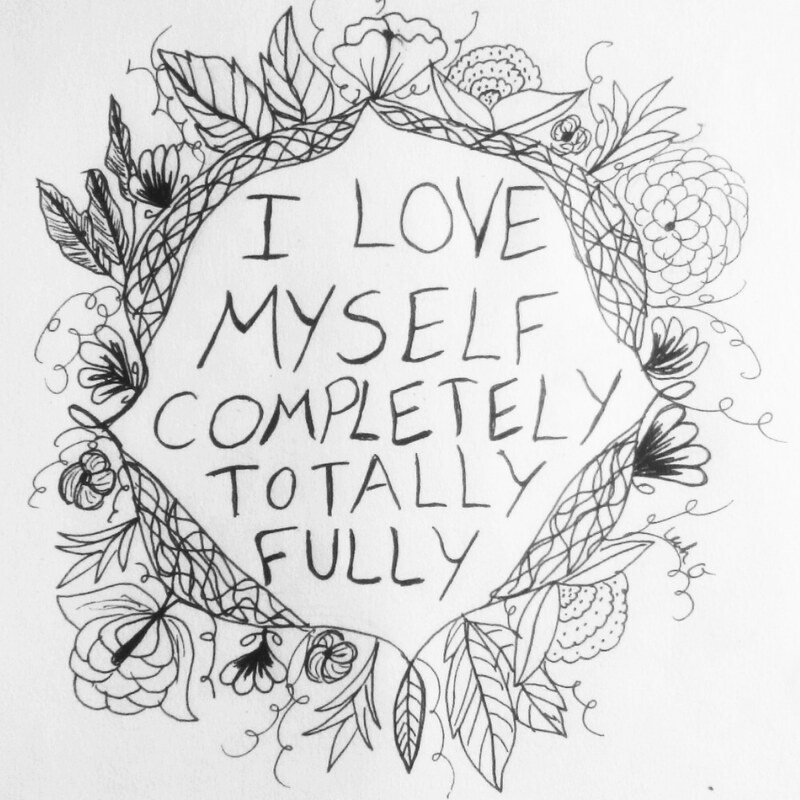 My heart guides me to self-love. I am following my heart. “Peace Love and Weirdness” is offbeat and includes positive affirmations for cultivating healthier thoughts. You might also enjoy my book of word art and affirmations.